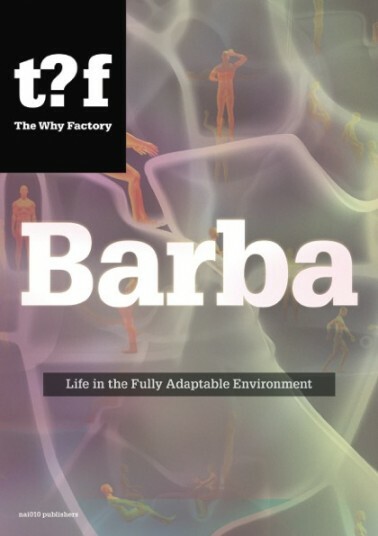 The Why Factory has released 'Barba', a new publication focusing on our research of nanotechnology in architecture. Barba. Life in the Fully Adaptable Environment, published by the Why Factory and nai010 publishers, illustrates how a series of current technological innovations might change the way we build and live in cities in the future. The first inspiration came from ‘Barbapapa’, an illustrated cartoon character from the 1970s. Invented and drawn by Talus Taylor and Annette Tison, the friendly, blobby protagonist of the eponymous children’s books and television programme could change his shape to resemble different objects. With Barbapapa’s smooth morphosis in mind, The Why Factory wondered how today’s advancements in robotics, material science and computing might allow us to create environments that transform themselves as easily as Barbapapa could. Neither Barbapapa’s inventors nor anybody else from the team behind the cartoon were involved in this project, but The Why Factory owes them absolute gratitude for the inspiration of Barbapapa. Barba developed through a series of projects organized by The Why Factory and undertaken in collaboration between Delft University of Technology, ETH Zürich and the European Institute of Innovation and Technology. The research was developed over the course of numerous design studios at the Why Factory and elsewhere. Students and collaborators of the Why Factory have all contributed to the book. The Why Factory explores possibilities for the development of our cities by focusing on the production of models and visualisations for cities of the future. Education and research of The Why Factory are combined in a research lab and platform that aims to analyse, theorise and construct future cities. It investigates within the given world and produces future scenarios beyond it; from universal to specific and global to local. It proposes, constructs and envisions hypothetical societies and cities; from science to fiction and vice versa. The Why Factory thus acts as a future world scenario making machinery, engaging in a public debate on architecture and urbanism. Their findings are then communicated to the wider public in a variety of ways, including exhibitions, publications, workshops, and panel discussions.